Since June 30, 2016, General Ronald “Bato” Dela Rosa has been spearheading what President Duterte called a war against illegal drugs. Then, he was unexpectedly seen in Las Vegas watching Pacquiao - Vargas fight on November 6, 2016. Not that he got a free travel gift from Senator Manny Pacquiao to fly and watch the fight for free, which many lawyers would point that it is illegal to do so, but the act seemingly diminished the context and gravity of the concept of war. While some netizens have questioned the strategy behind eliminating drugs in the Philippines because the same strategy has failed in some countries, now both parts of the strategy and execution (no pun intended) are in question with the decision of General Bato to leave his troops at war and enjoy a free vacation to watch boxing in the United States. Leadership plays an indispensable role in executing strategy and turning them into desired results. Leaders rally everyone to be aligned with goals and strategy and to show total and unshakable belief via leading by example. This alignment helps increase capabilities of an organization to attain goals by improving coordination, competencies and commitment. As to how the good General will get out of this dilemma and command respect and reverse public opinion after the discovery of what others term 'impropriety' will be another case study of execution. We wish him well. Strategy and execution are interrelated. It is ideal to both have a brilliant strategy and excellent execution. But a good strategy may be poorly executed or a weak strategy may be executed exceptionally. The worst is to have both – a bad strategy and a bad execution. Many executives focus too much on strategy but leave execution to inexperienced personnel, unmindful of the big picture and the consequences of their actions and inactions. This empowerment is a double-edged sword as it may both be a good and bad thing; the latter is when a major blunder would occur early in an executive's career, henceforth affecting their ability to get things done subsequently. Many of these blunders take place even in the corporate world. I am sharing a few with you. 1. Companies want to encourage higher sales volume from clients but reward purchase volume, committing inventory loading in the process. 2. Top executives allocate budget to an important project unmindful that personal presence would have made a big difference in key meetings. 3. Sales managers appoint an exclusive distributor in an area but allows another to poach in the same specified location. 4. The rewarding of sales when profit is the battle cry; profit should be a key performance indicator instead of top line. 5. Sales managers launch a sales promotion when stockout is imminent. 6. The almost monthly extension of sales cut-off in order to qualify for incentives, unmindful of the impact it brings to culture building. 7. The extensions set for sales promotions bearing the same name even if some of the mechanics have been changed. 8. Project managers overlook timing in scheduling activities, as in opening an exhibit in a venue when its captive audience is on holiday. 9. Marketing managers launch a new service when the back room service support is not yet ready. 10. The absence of a defined service operations process to handle routine customer complaint. Does any of these sound familiar to your organization? As marketing and sales leaders, it is imperative to have an execution planning map in all undertakings. It sets the bar that drives your capable team to deliver differently. With this in place, the cohesion of your project plan is assured. Avoid tripping in to loopholes as you watch your big idea go live, whether you are growing your business for the first time or on the verge of turning it around. Leaders are always expected to spearhead planning new strategies, but oftentimes the only indicator that defines them is execution. 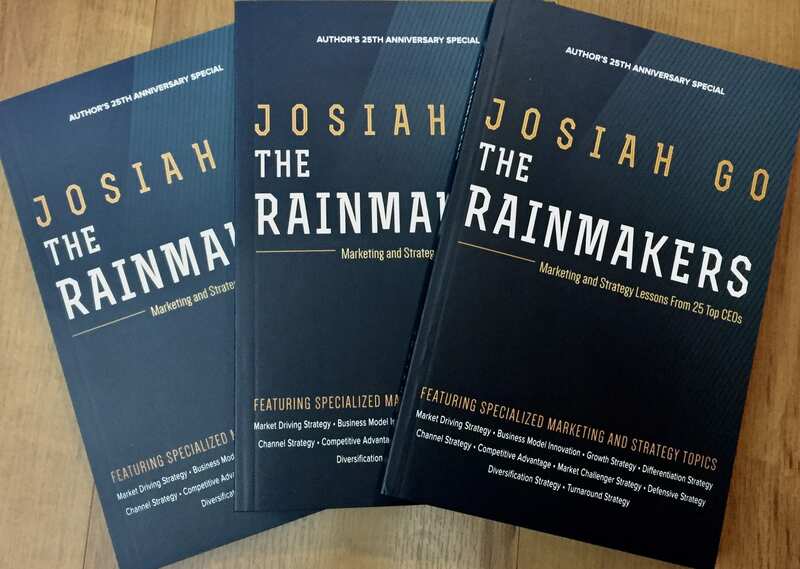 Josiah Go is the Chairman and Chief Marketing Strategist of Mansmith and Fielders, Inc., the only advocacy-based training and consultancy firm focused on marketing, sales, strategy and innovation. For feedback, write to mentors@mansmith.net or log on to www.mansmith.net for more information.